A lovely bright flower arrangement in a vase. 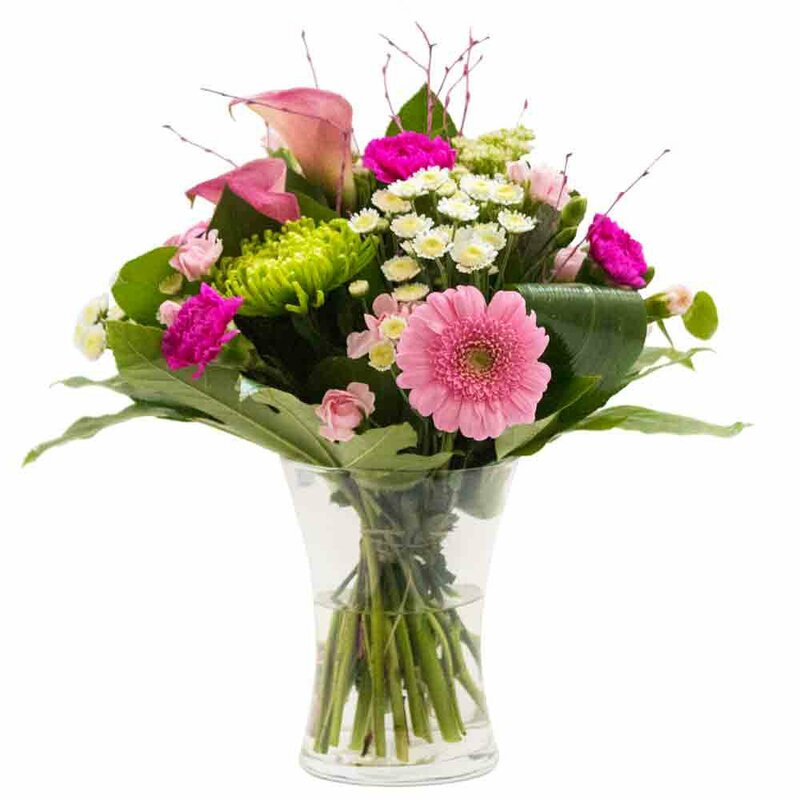 Pinks, Whites and Greens including Bloom Chrysanths, Gerbera and Lilies. Simple and beautiful. A flower delivery perfect for any occasion. The flower gift will be hand delivered by the local florist along with your special card message. This is a perfect present to give to someone who enjoys flowers and who would love their flowers already arranged for them. If you would like an alternative colour scheme, please ensure you ask for this option in the Special Request box. If you wish for the one shown, you do not need to add anything in the Special Request Box. With fresh flower deliveries direct from the Netherlands every day, it's no surprise at Sarah Coxon Floral Design we use the freshest flowers and foliage to ensure your gift will be enjoyed by the recipient as long as possible.